If you're a frequent visitor to this site, you already know I have a special place in my heart for paper jewelry... nothing beats the surprise factor it offers when an admirer learns the piece you're wearing is made of paper! I've showcased about a dozen paper jewelry artisans this spring and plan to do another roundup post soon, but after meeting Sharon Armstead of Kiahdesign Paper Jewellery via Instagram, there was no question the variety of her work would require its very own feature. Sharon, who lives on the southern coast of New South Wales, earned an honours degree in Fine Art in England before moving to Australia. She says her aim is to make beautiful things from the mundane and to reduce waste, albeit on a very small scale... I'd say she is gloriously successful! 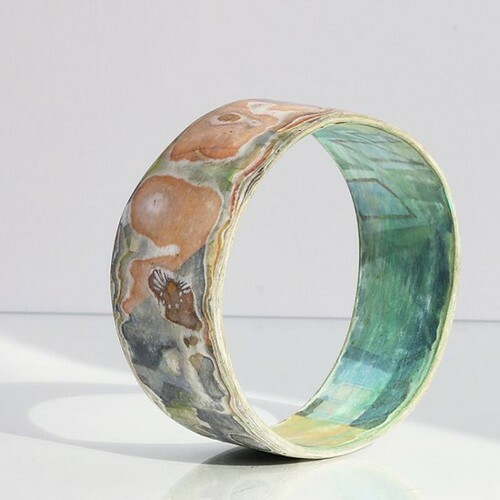 These earrings are made of recycled watercolor paper and Japanese hand silk-screened paper along with sterling silver findings, while the soft colors of the rustic papier mache bangle below are derived from old magazine pages. Sharon's love of paper and color led naturally into making paper jewelry, and she finds the contradiction of the "preciousness" of jewelry versus everyday paper to be a pleasing one. 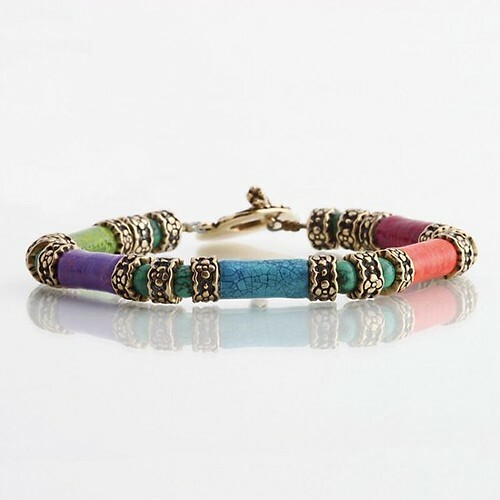 The dressy bracelet below features beads made from recycled watercolor paper that she hand painted and then textured with cast bronze. You won't find Sharon making any two pieces exactly alike. 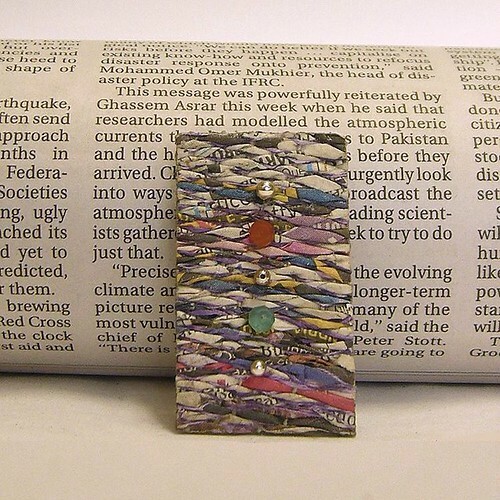 This shiny brooch is composed of mashed computer printer paper mixed with glue and whiting, then layered with a collage of hand painted papers, paste and marbled papers. And below is a completely different style of brooch that features woven newspaper with carnelian and African jade beads. Although the jewelry is mainly made of ordinary materials, I admire the different ways Sharon manages to give each piece a stylish, polished look. 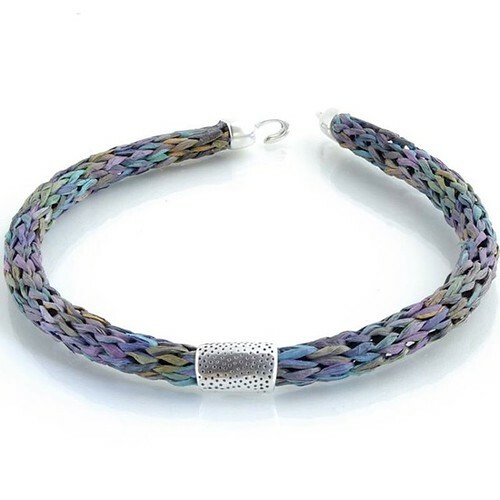 The choker below, for example, combines knitted Japanese paper yarn, made from a sustainable source, with sterling silver accents. 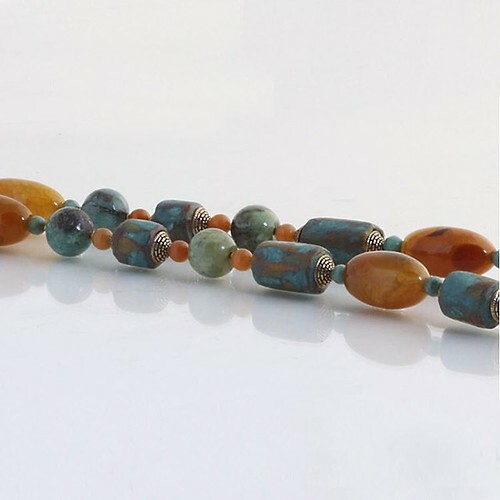 The elegant necklace below contains recycled paper beads that have been colored with layers of oil paint and wax. 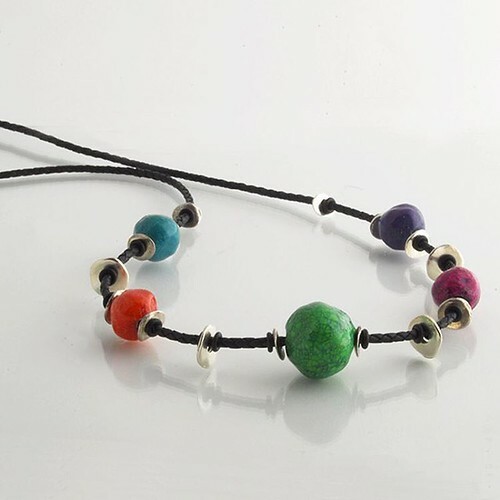 In comparison, the playful necklace below is composed of hand painted and textured papier mache beads combined with pewter accents and strung on leather. Sharon sources the most ecologically-sound leather possible, in terms of the chemicals used in its processing. 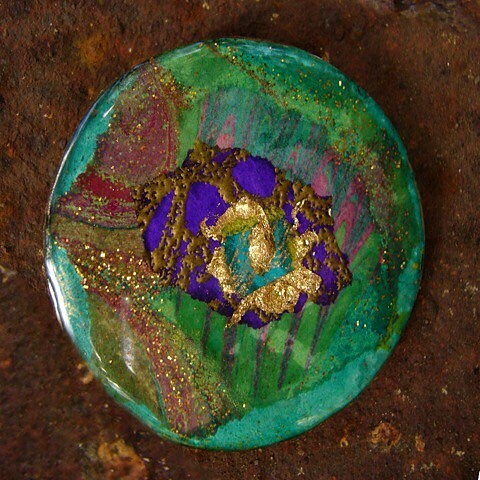 Kiahdesign Paper Jewellery can be found in regional galleries and select shops in Australia. 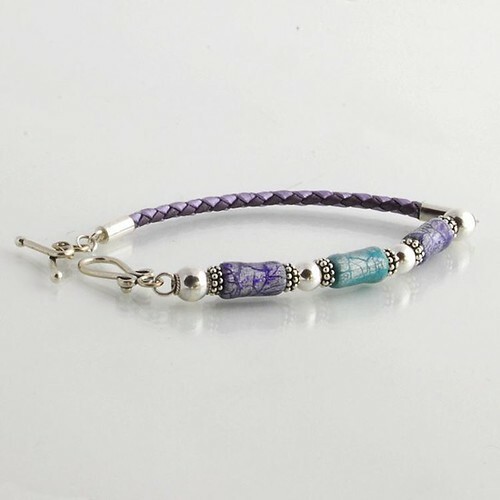 Although Sharon hasn't had time to restock her Etsy shop recently, contact her via Instagram, Etsy convo or Facebook if you wish to inquire about a piece. Payment is via PayPal; direct deposit for Australian customers. Beautiful and so unique. Each piece has inspired me. 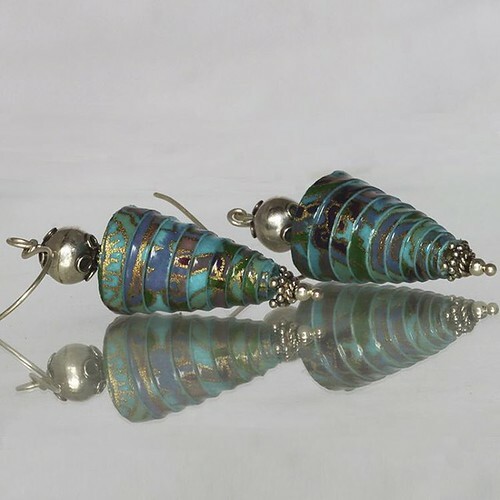 Wow, those are amazing pieces! !